Effective assistance with end-of-life palliative care. Traditional Reiki (ray-key), one of the main healing modalities offered at StoneWind Institute, is an easy to learn, simple to use healing method that anyone can learn with a weekend of training, then use on oneself and to help others, including the ill, children, and the elderly. Reiki is now practiced by millions of people world wide and is used and/or recommended in as many as 800 hospitals in the US, including the The Mayo Clinic, MD Anderson Cancer Center, and Memorial Sloane Kettering Cancer Center. Traditional Reiki is not a religion. It has no arcane dogma, no religious tenets. It requires no rigorous ascetic practices or rituals. To have and use Reiki a person needs to do nothing more than be attuned by a properly trained Master and have the intent for Reiki to flow whenever they put their hands on themselves, family members, people in need, or their pets. Sounds too simple, too easy? It is that simple and that easy—and everyone can begin to do it with a weekend of training. To understand more, see “Going Deeper” below. To sign up for a class, see the “Structures and Policies” below. Traditional Reiki is taught in weekend classes at the StoneWind Institute campus in Chester, Arkansas ( 30 miles south of Fayetteville off I-49). All Reiki classes at StoneWind come through the energetic transmission known as Usui Shiki Ryoho (Usui System of Natural Healing) which descends in unbroken lineage of teaching and practice from Hawayo Takata through John Harvey Gray to Suzanne Parnell. First Degree Reiki is the entry level, with no pre-requisites other than your desire to learn. Courses beyond First Degree have pre-requisites so check for them in the descriptions. In keeping with the lineage practices of Traditional Reiki, students with First Degree in other lineages wishing to take Reiki courses at StoneWind must retake First Degree in the Parnell lineage before proceeding to Second Degree. Mastership is by invitation and only after 3-5 years as a Practitioner in the lineage. Beginning and advanced Reiki Classes are scheduled over a weekend with upcoming classes posted on our Calendar. Everyone is eligible to take First Degree Reiki which is offered the first weekend of most months. Usui-Gray-Parnell Lineage (see information on Lineage below). Those trained in other Traditional lineages can be admitted with Teacher Permission. Detailed descriptions of each level of training can be found below. Your Reiki training begins with First Degree, a two-day class usually held over a weekend. Participants will learn to give and receive Reiki treatments, to understand some of the science underlying energy healing and Reiki in particular, and how to use Reiki in medical settings or with themselves and others. The format is lecture, discussion, and a lot of hands-on practice. Wear comfortable clothes; we are on and off the tables each day. At the end of the weekend of training, you will have Reiki for the rest of your life. As a First Degree Reiki Practitioner, you can offer “hands on” Reiki to yourself and others quickly and easily whenever and wherever needed, and you need nothing more than your hands to do it. Second Degree training in the advanced energies of Reiki provides First Degree Practitioners with a quantum leap in both the quality and quantity of Reiki energy. The two weekends of advanced training–Second Degree and Practicum–empower you with a wide range of powerful applications for healing across a vast spectrum of situations, including the ability to offer Reiki powerfully to yourself and others, any where, any when, from a distance. Over the years we have seen that one weekend is not nearly enough time for students to absorb and become comfortable with the wide range of advanced Reiki techniques preserved in the lineage. If too much information is overwhelming and practitioners are unable to feel confident and proficient in the full range of advanced skills in one weekend, they may, in their uncertainty, simply stop using their Reiki. These skills are too important to everyone and to the planet to allow them to go dormant because of arbitrary class structures. We have chosen instead to open an easy path for people to learn the full range of advanced skills in a more comfortable time frame. StoneWind’s structure of advanced teaching provides additional “face-time” for students to add techniques in a slower format and gives them more opportunity to ask questions, understand, integrate, and practice the rich scope of Reiki extensions available through this lineage. Second Degree at StoneWind, therefore, is still offered for the traditional fee of $500 (the same amount Takata charged in the 1970’s), but we divide the training into two separate weekends (“Second Degree” and “Practicum”) separated by days or weeks, sometimes months at the student’s and teacher’s discretion. Second Degree followed by Practicum in “combo weekends,” i.e. two weekends in a row, is effective pacing for some, particularly those with medical conditions needing attention sooner rather than later. Second Degree and Practicum provide students with important, powerful techniques to use on themselves, others, and the planet. For that reason, it is our policy that the timing of each student’s learning, i.e., whether to take both courses in a combo weekend, or take them weeks or months apart should be based on the student’s needs, readiness, and willingness. StoneWind and to our Earth Healing Courses. (2) $250 can be paid for Second Degree with a pay-out arrangement made for the balance. Practicum can be taken as long as the payout program has been initiated. Hospice Reiki allows us to use our Reiki skills to help our loved ones and others transition from life to the afterlife. It takes as much energy to die as it does to be born, but the process of dying is a much more difficult and painful one for the person dying and for friends and family. Those who use Reiki in hospice situations know that a Reiki assisted death is usually peaceful and can even be pain free if Reiki is begun in time to get ahead of the pain curve. And Reiki helps not only the person who is dying, but the family members who are dealing with loss. So if you are facing the death of a loved one, or if you feel called to work with the dying either professionally or as a Reiki Hospice Practitioner, this course is an important part of your Reiki training. (5) steps for assisting a person to transition peacefully into the Light. those Reiki Practitioners who stand with someone as he/she transitions learn there is nothing to fear in death. from the negative influences of the dead and to assist the dead who have become “lost” to find peace. Assisting our loved ones and others to die peacefully is vitally important; however, it is just one aspect of the death process. What happens after death is an equally important but far less understood issue. For those who are not able to die peacefully with their loved ones beside them, after-body existence can be a complicated situation, particularly for those who die violently or suddenly, those who commit suicide, and for those who die believing there is no afterlife. For those who have died but not moved into the Light, more help is needed. Assisting lost and confused Souls to move on gently after transition from the body is the purview of the Reiki Death Walker. Death Walking the Reiki Way allows Reiki Practitioners to perform the ancient shamanic role of Death Walker ethically, safely, and gently while protected by the advanced energies of Reiki. This course revisits everything learned in Hospice Reiki about the nature of death and dying, but goes deeper into the nature of life after death, the range of cultural beliefs concerning life after death, additional information on the condition and potential locations of departed souls, the way the dead can and do interact with the living, and the long term consequences for a Soul of not moving on properly. For those who have paradigm questions, you can email us prior to signing up, but be aware that for most–if not all–this will be a paradigm shift moment. may be taken in the same weekend. “Reiki (ray-key)” is a general term for a range of practices now taught throughout the world under a variety of names and methods representing an easy to learn, simple to use method of energy healing. Reiki can be used on one’s self, on others, pets, plants, on all living beings. The Reiki emerged in Japan in 1922 as the result of a profound energetic experience that happened to Dr. Mikao Usui, a Japanese Buddhist, during a 21-day Zazen retreat on Mt. Kurama just outside of Kyoto. Dr. Usui’s experience, known in Japanese Buddhism as satori, a term broadly defined as “awakening” or “enlightenment,” produced life altering effects. Those effects remained with him in the years afterward, and included new healing abilities and a pervasive desire to help people. Dr. Usui called the healing method that evolved out of his spiritual experience Usui Shiki Ryoho, or the “Usui System of Natural Healing.” Before his death in 1926, Dr. Usui had taught Reiki healing to over a thousand people and had established methods among his students for the continued transmission of Reiki into the future. How Reiki differs from other healing systems: The Reiki system Dr. Usui developed and handed forward is an evolutionary advance over all other energy healing modalities both ancient and modern. Reiki is unique because it is based on a new method of transmitting energetic abilities from teacher to student. Dr. Usui called the transmission method a “reiju” or “attunement,” a form of energetic activation that opens instant access to the energies of Reiki in the hands of ordinary people. The attunements or energy activations are the reason anyone can “learn” Reiki in a weekend. The nature of the method opened in students hands is also the reason Reiki is safe for anyone to use without draining personal chi/qi, i.e., without draining our personal energy. The ability to make Reiki energy available to ourselves and others, therefore, is not a learned “skill” acquired through long study, practice, or even through some natural “gift.” Rather Reiki ability is a personal empowerment or “energetic activation” that is opened quickly in the hands of everyday normal people by a Reiki Master trained in the subtle energy technology of Reiki attunements. All that is necessary for a student to have and use Reiki is the willingness to receive the attunements. Learning Reiki is a gift you give yourself, an empowerment you choose that enables you to help yourself heal old issues and deal with new health issues as they arise, and it is an ability that lets you help others effectively as they are willing. People of all ages, all religions, all belief systems, even die-hard skeptics and those with no beliefs at all have benefited from Reiki treatments, have become Reiki practitioners. Reiki, as Dr. Usui received it and as Mrs. Takata passed it to the western world, is uniquely suited to modern—to western—sensibilities: it is deeply spiritual yet outside of all religion. It is easy to learn, simple to use, and effective. It is the system of natural healing for the twenty-first century and beyond. As explained above, the original form of Reiki, called the “Usui Method of Natural Healing” (Usui Shiki Ryoho), originated in Japan between 1922 and 1926. It was introduced to the West in 1936 by Ms. Hawayo Takata. Hawayo Takata was a Japanese Hawaiian who was healed through Reiki of a serious medical condition while living in Japan. She was the first westerner allowed to learn Reiki. In 1938 she became the only person empowered by her Japanese Sensei (teacher), Dr. Chujiro Hayashi, to pass Reiki forward in the west. 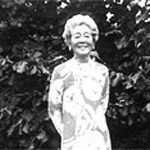 From 1938 until her death in 1980, Ms. Takata taught hundreds of students and made 22 Masters, who at the time of her death then became the only ones empowered to continue to teach Reiki in the west. After Ms. Takata’s death in 1980, with western ignorance of oriental traditions of lineage and with the rising interest in alternative medicine, “reiki” as a healing practice began to be changed by many people wishing to “brand” reiki for marketing and presentation. As a result, reiki began to branch into two general forms of transmission: traditional Reiki and non-traditional Reiki. The Reiki opened in students by those teachers who learned, honored, and passed forward Takata’s methods of transmission virtually unchanged is referred to as “Traditional Reiki,” while the Reiki taught by those who altered the methods of Reiki transmission,applications, and techniques are termed “non-traditional” Reiki. Traditional Reiki continues to be taught by those who adhere closely to Takata’s methods of transmission and training, while Non-traditional Reiki refers to the Reiki offered in a variety of formats under a wide range of labels with each form representing significant changes to the methods of use and transmission. In the years since 1980, so many differing variations of reiki have been put forward that without considerable understanding of the role of lineage in energetic transmission, it is difficult for the individual to distinguish between the sometimes contradictory forms of reiki that are advertised. Traditional Reiki at StoneWind adheres strictly to the form of the attunements that Ms. Takata learned from her Sensei, Dr. Chujiro Hayashi, and in turn handed forwarded to her Masters. It is understood in the traditional lineages that if we change the attunement process, we alter the energetic science that makes the full range of Reiki abilities available in students, and so the form and structure of the attunement transmission methods are strictly preserved so as to assure that the full range of Reiki energies open in all students. Traditional Reiki at StoneWind is taught in three “degrees” or levels of training: First Degree, Second Degree, and Mastership (sometimes called Third Degree), with each level of training offered within the guidelines for Traditional Reiki. In traditional western lineages, i.e., in those lineages whose energetic methods descend in unchanged format from Hawayo Takata, First and Second Degree are taught in multiple weekends of training separated by periods of practice time, usually one to six months. Students with serious medical conditions whose situation requires access to the advanced energies and techniques of Second Degree training more quickly than is the usual timing–or those who feel energetically ready for Second Degree sooner–may request to have the waiting periods between levels of training shortened. In the Traditional Lineages, First and Second Degree are never taught in the same weekend. In the Parnell lineage, where advanced techniques and extended applications in the advanced energies come down from two Masters trained by Takata (Beth Gray and John Harvey Gray), Second Degree training involves an additional weekend known as “Practicum” to assure students understand and are fully trained in the additional advanced techniques that allow powerful use of Reiki in a wide range of situations. If a student is confronting serious medical issues, he/she can ask to take Second Degree and Practicum without the longer waiting period. Completion of Second Degree is considered a professional level of training for the purposes of being a Practitioner for those who wish to provide Reiki sessions to others or who wish to incorporate Reiki into an existing therapeutic practice. Mastership in traditional lineages is reserved for those who feel called to teach Reiki to others, with several prerequisites, including a lengthy period between Second Degree and acceptance for Mastership training, then an extended period of instruction from the teaching Master. Mastership is by invitation and the training extends from one year to as long as five years, depending on circumstances of time and place. Reiki (ray-key) is an easy to learn, simple to use method of natural hands-on energy healing that promotes health and well being in both practitioners and recipients. 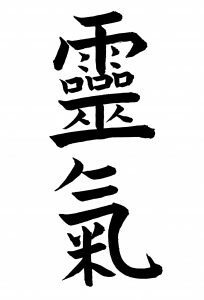 The word Reiki in its English form is both a noun and a verb. 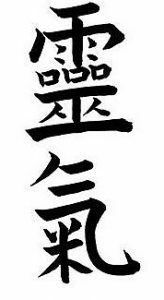 As noun, Reiki is the name of the ancient healing energies discovered in the early 1920’s in Japan by Dr. Mikao Usui. It is also the name of the Method of Natural Healing developed around those energies and practiced by millions of people all over the world. Through the energetic science of “attunements” preserved by teachers trained in the lineages of Reiki, anyone and everyone who chooses to can become a conduit for Reiki healing energy through a simple training process. Do Reiki Practitioners heal anyone? No… Only you can heal you. The Reiki Practitioner is simply a “conduit,” an intermediary through whom the Universal Life Energy is made available to your body. The wisdom of your body takes from the quantum energies of Reiki what your body needs and only what it needs, thus replenishing the energy your body requires for its healing. The Reiki Practitioner has no power to direct–or predict–the interaction between your body and the Reiki. Is Reiki different from other energy healing methods? (1) Since Reiki Practitioners are simply conduits for the Universal Life Energy, they are not drained during transmission; in fact, Reiki energizes the giver as well as the receiver. In addition, there is never an exchange of any disease process between receiver and giver. (2) Reiki is not learned through years of practice and study as is necessary with other forms of energy healing; rather, it is an empowerment acquired directly from a properly trained Reiki Master through an ancient energy “technology” known as an attunement. Can Reiki affect medical treatment? Yes. While Reiki is meant to augment necessary medical or psychotherapeutic treatments, not replace them, it greatly increases the benefits of any therapy by speeding up recovery time, supporting the body’s efforts to heal, and providing help in the management of pain and discomfort. With Reiki, the dosage of many medications can be lowered, and Reiki can be particularly useful in trauma situations during the first “Golden Hour” or before medical help arrives. Will Reiki help a person who is dying? Absolutely. Reiki helps ease the discomfort and pain of the dying process and provides relief from the fear, loneliness, and anger which often accompanies the process of transition. And Reiki is beneficial for family members dealing with the stress, grief, and anger associated with the final illness and death of a loved one. “Reiki deaths” are beautiful passings. Using Reiki to assist the dying is a privilege for the practitioner. Reiki Hospice work is a tradition at Ajna, and training in Hospice Reiki is available to any Reiki student in the lineage who is interested. Yes and No. Like Transcendental Meditation, T’ai Chi, Shiatsu, Chi Kung, and Acupuncture, Reiki comes to us from the Orient. In fact, Dr. Mikao Usui, who rediscovered the ancient Tibetan method of healing in the early 1900’s, was Japanese. However, the energies of Reiki are universal. They are the energies of the world and of our own bodies. Anyone who has ever received a Reiki treatment knows there is nothing “foreign” about Reiki. It is a completely natural method of healing. Traditional Reiki, as it comes from Japan and is practiced by Traditional Reiki Masters is not a religion. It has no arcane dogma, no tenets of faith, no church. It requires no rigorous ascetic practices or rituals and is in no way contrary to a person’s belief system. People of all religious beliefs and those with no beliefs in all parts of the world practice Traditional Reiki. Many report that the experience of Reiki deepens whatever religious beliefs they already hold. If someone presents Reiki as part of a religion or a particular set of religious beliefs, they have chosen to tack things onto Reiki that is not part of Traditional Reiki. Must I believe in Reiki for it to work? No. Existence is not dependent upon belief You do not have to believe honey is sweet to enjoy its taste–you just have to eat it. Many who did not believe in Reiki have been helped by it. What is necessary is a desire to heal. For more on this, see Self-Healing. Traditional Reiki courses are divided into First Degree and Second Degree Reiki, each level taught in regularly scheduled weekend classes. At the conclusion of each level, the student receives a certificate indicating the level of training completed. First Degree Reiki: includes an introduction to the history of healing energies, the history of Reiki, information on the human energy field, the four attunements necessary to create the permanent energy connection that enables the student to act as a conduit for Reiki energy, and practice giving and receiving Reiki. The four attunement process is the hallmark of unbroken Traditional lineage. Second Degree Reiki: includes the two attunements necessary to open complete Reiki energy in the practitioner’s hands, and training in advanced techniques including distance healing and methods of mental and emotional healing both at a distance and hands-on. Two attunements at Level II is the hallmark of unbroken Traditional lineage. Reiki Mastership, Level III, is by invitation from the teaching master after the practitioner has had Reiki in the lineage for a minimum of three years. Mastership training presupposes a deep commitment to Reiki teaching and healing and usually takes from twelve to eighteen months or longer. Reiki Mastership at StoneWind Institute follows the standards and commitments published by the Alliance of Reiki Masters. Why Do Reiki Masters Charge for Reiki? Reiki healing is about more than “fixing the body.” It is about healing the physical, emotional, mental, and spiritual causes of illness and distress. For such healing to be fully effective there must be cooperation and commitment on the part of the client. Under the ethics established by Dr. Usui, the founder of the Reiki Method of Natural Healing, those receiving Reiki training or treatment must exchange some form of energy as a sign of commitment and involvement in their own healing. Money, a compressed form of energy, is the most common form of exchange, although by no means the only one. Most Reiki Masters operate on a fee schedule, yet reserve the option to modify fees or to accept other forms of energy exchange for Reiki. That energy exchange, whether money or otherwise, is critical to all parties because it maintains a balance between the people involved. From an energetic perspective, the energy exchange between practitioner and receiver, between teacher and student, establishes the receiver’s firm intent to maintain outward balance and opens the body to the inward balance from which physical healing comes. From a psychological point of view, a suitable energy exchange means neither party is able to feel “one up” or “one down,” neither needs to feel indebted to the other–or used. Both are able to walk in respect for the other.